Julian Abele was born into Philadelphia’s African-American aristocracy. His mother was descended from Absalom Jones , founder of the Free African Society. and St. Thomas Episcopal Church. Julian, the youngest of eight children, was just one of several successful siblings. His brother Joseph was an engineer with the Philadelphia Electric company. His brother Robert was a physician who graduated at the top of his class at Hahneman Medical College. His brother Charles was a brass sign maker who worked with Sam Yellin, a major figure in the American Arts and Crafts Movement. Abele was far better educated than his longtime boss Horace Trumbauer. Abele was educated at the Institute for Colored Youth, where he won the Mathematics Prize and gave the commencement address. He graduated first in his class from the Pennsylvania Museum and School of Industrial Arts, where he was the only black student. In 1902, he became the first black student to graduate from the University of Pennsylvania Graduate School of Fine Arts, where he won several prizes and was elected president of the Architectural Society during his senior year. While at Penn, excelling at his studies and winning prizes, Abele was also working fulltime at the Louis Hickman Architectural Firm. 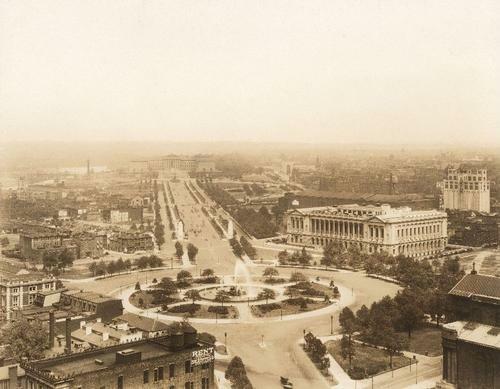 By 1901, he was listed as an architect in the Philadelphia city directory. While Abele is credited with the design of 250 buildings, his name did not appear on most of the plans. After graduating from Penn, Abele joined Horace Trumbauer’s firm. He became Trumbauer’s chief designer in 1909 when Frank Seeberger left to form his own firm, but Abele did not sign any plans with his own name until after Trumbauer’s death in 1938, when he and William Frank took over the firm. While it was common practice for plans to be signed with the name of the firm, Abele’s race may have played a part in this as well. Abele lived with his sister, Elizabeth Cook and her children, whom he raised as his own. In 1916, Abele purchased the ten room, 3-story rowhouse at 1515 Christian Street, where he lived until his death in 1950. Abele owned some fine antiques but designed and made much of his own furniture, including the needlepoint covers. He also made jewelry, paintings and lithographs as gifts for friends. Abele’s wife was a bigamist. In 1925, at the age of 44, Abele married Marguerite Bulle, a 20-something Frenchwoman and protégé of French musician Nadia Boulanger. They had three children, Julian Jr., Marguerite Marie (who died of measles at age 5), and Nadia. But the strains of an interracial marriage and the differences in age and personality took a toll. Marguerite had an affair with Jozep Kowalewski and, in 1933, asked Abele for a divorce. He refused and Marguerite remained in their home. But she moved to a separate bedroom and continued to see Kowalewski. In 1936 Marguerite, now pregnant with Kowalewski’s child, left Abele and married Kowalewski at Saint Patrick’s Cathedral in New York City. Marguerite and Kowalewski continued to live in Philadelphia, but Julian, Jr., and Nadia stayed with their father. The Free Library contains within it another of Abele’s creations added in the late 1940s. When William McIntire Elkins died in 1947, he left his entire library of priceless books, manuscripts, and artifacts to the Free Library and his heirs donated Elkins’ physical library to house the collection. This magnificent 62-foot long paneled room was originally part of Briar Hill, the Elkins mansion designed by the Trumbauer firm. It was dismantled piece by piece and recreated within the Rare Book Department. It was not until 1986 that Abele finally got recognition for one of his largest projects. 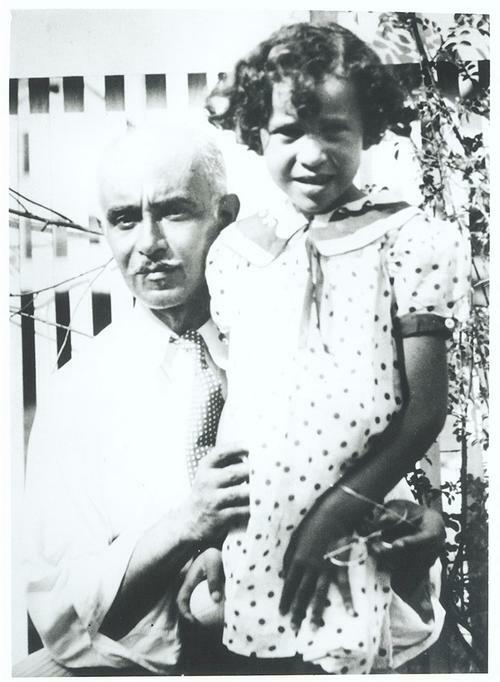 Much of Duke University, an all-white school until 1961, was designed by this African-American architect, who would not have been allowed to study there. This was not a secret, it just wasn’t well known because most of the drawings updating the East Campus and creating the West Campus were signed by the Horace Trumbauer firm. It was brought to everyone’s attention by a student, Susan Cook, Abele’s great-grandniece, during student protests against the university’s investments in apartheid South Africa. Duke has since recognized its designer in a number of ways, including hanging his portrait in both the administration building and the Rubenstein Library, as well as renaming the West Campus Quad, the Abele Quad. Julian Abele died in 1950 without leaving a will. 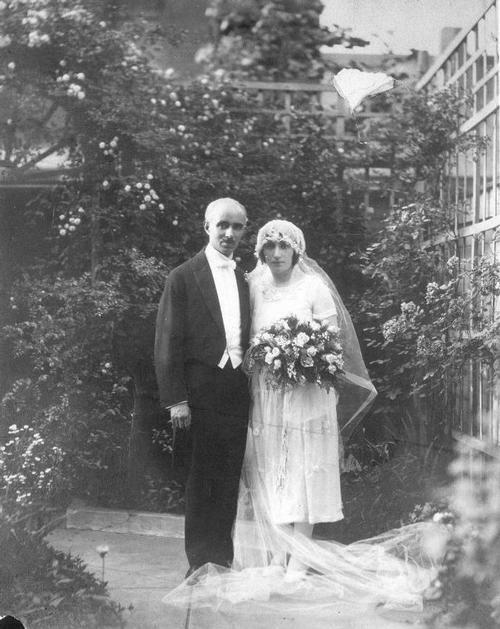 Since he was still legally married to Marguerite, all of her children, including Kowalewski’s, were considered his heirs and shared in his estate. Excellent article! Thank you, thank you, thank you for sharing this rich piece of history regarding Julian Abele. Thank you both for the kind words. I'm glad to learn about the resources in the Art Department. Wonderful article on Wonderful article! Please do more like this. This Article was very intriguing, loved the inside depth perception of his will to persevere, and its these types of articles that stay with you, even when its been a while since you read it. 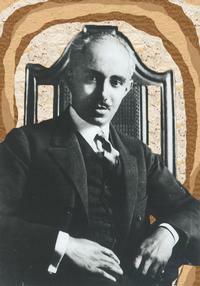 Thank You to whom ever for sharing this delightful and informative review on Julian Abele. Fantastic!! Very informative and enlightening. Thank you for sharing this wealth of information about the life and accomplishments Julian Abele, definitely had no idea of all the historic buildings he designed. for more information see Julian Abele, Architect and the Beaux Arts to be published 5 February 2019.